SYNOPSIS:This dramatised documentary describes life in the Aboriginal Reserve of Palm Island during the 1950's leading up to a strike in 1957. Aborigines on the Reserve were subjected to a degree of official authority only experienced in this country by people inside gaols and asylums. No Aborigine was allowed to leave the Reserve without the permission of the white superintendent, medical inspections were compulsory, food was rationed and "dancing or other native practises" required written permission. The strike in 1957 was the first time multi tribal Aborigines united over an issue. The first time they had used white man's methods to fight and the first time that Aborigines had fought for self determination. 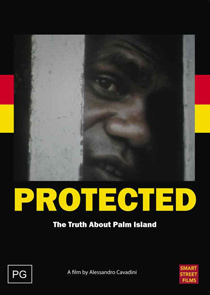 The recent riots and coronial enquiry on Palm Island bring this film to centre stage thirty years after it was made. Subject area Independent australian documentary/ Indigenous issues/ Reconciliation.